Returning to war-ravaged Italy, Casca and his companion-in-arms Flavius are recruited by the Roman army to take part in a campaign to retake lands lost to a rival emperor. But the two men are also tasked to undertake another mission on behalf of the emperor Honorius, to find a precious artefact in the hands of the rival emperor and recover it before it is lost, stolen or destroyed in the fighting. 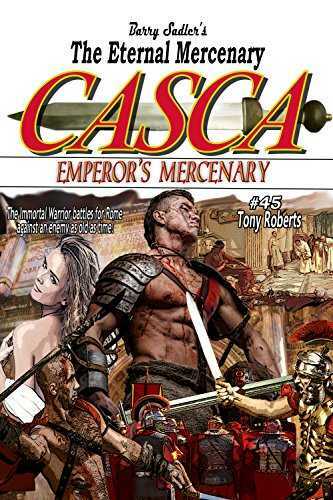 However Casca realizes that there is more to the mission than he or Flavius are being told, and the eternal mercenary must weave his way through Roman politics and rivalries to uncover the truth about this artefact. When it is revealed to him, it is more valuable than he would have ever guessed, and that the emperor and the fading empire will need this at all costs, even if it means hunting the two men down.